While the gaming options at 2017’s WonderCon were fairly limited, there was one in particular that stood out quite a bit. Was it a Triple-A game? No. Was it some otherwise highly anticipated game? Eh, maybe. Was it the peak Michael Jordan poster, some CDs, bright colors, and slap bracelets surrounding the gaming consoles? Oh yeah it was! Guess what the game is? 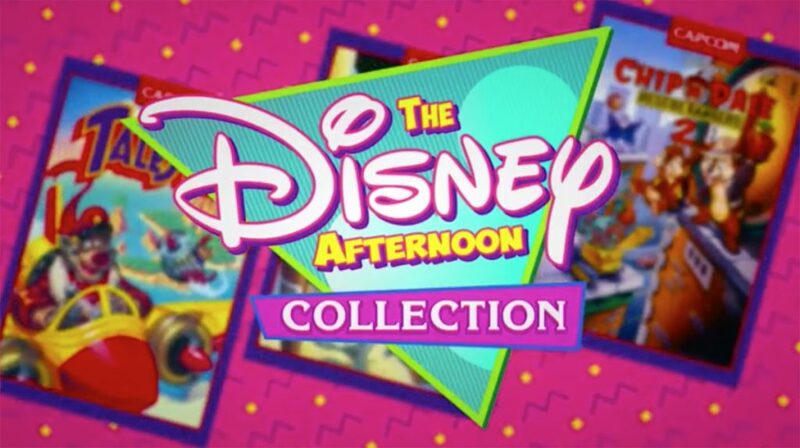 Disney’s Afternoon Collection, a game surely looking like it’s going to be a video game built off of a BuzzFeed article titled “90s Disney Video Games That Will Make You Say Holy S*** I’m Old”. With the game out later this month, we took a quick swing through a couple of the throwback options. 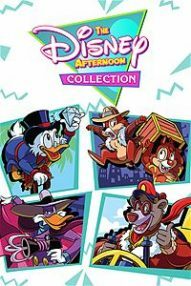 The Disney Afternoon Collection is bringing back six of the Capcom games released in conjunction with Disney in the 90s, all based on various animated series that had successful runs through the same decade. What you’ll be getting, aside from dangerous: DuckTales, DuckTales 2, Darkwing Duck, TaleSpin, Chip n’ Dale Rescue Rangers, and Chip n’ Dale Rescue Rangers 2. Rather than straight re-releases, the games will be presented in their side-scrolling original way, but with added features like Rewind (to re-do mistakes), time attack, and boss rush modes. You know, those things you probably didn’t think to do when you were a kid (aside from correcting your mistakes because it was totally the game’s fault, not yours). Outside of the nostalgia factor that I’ll get into, the enjoyability of the game will come down to how much you’ll get out of challenging yourself to speed runs and completing 100% of the games. 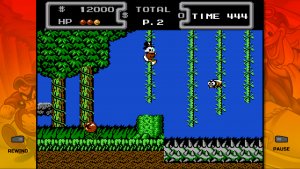 I got some specific time with Chip n’ Dale Rescue Rangers and DuckTales, the two games available in the demo. To be perfectly transparent, I don’t have much experience with the games when I was a kid. They were some shows I watched, sure, but never really had tons of access to the video games. That said, I likely played the game just as bad as a child could. They handled well enough, taking advantage of as little buttons on the PlayStation controller as necessary, but I suppose something did feel odd about using an advanced controller with a simplistic game. Once you can get the hang of it, it can be comfortable enough. Part of the comfort may come on how experienced you are with the game. The true draw so far is just the subject matter. They’re 90s cartoon characters! DuckTales is back on the revival path and Darkwing Duck still has a solid following. It’s your chance to step back into the paws or webbed feet of the characters you may continue to love to this day. Shameless nostalgia capturing? Yup. Are we all somehow going to be suckered into it? Maybe! What I did enjoy quite a bit from the demo was the vibrancy of the update. Sure, it still looks like a 90s video game, but there was a nice color balance to it that could get you even more visually hooked. I’d be excited to see how the rest of the games play out, especially in the sweet looking menu to access them. We’ll all be able to get our hands on some of this 90s nostalgia when The Disney Afternoon Collection drops on PlayStation 4, Xbox One, and Steam on April 18, 2017.